The NHS has been under public scrutiny recently more than ever before. Why is this? Is it because people are using the NHS in a wreckless manner? Are these attempts to establish a national private health care service? Or is it because as a nation we are not educated enough on how we should use the NHS? 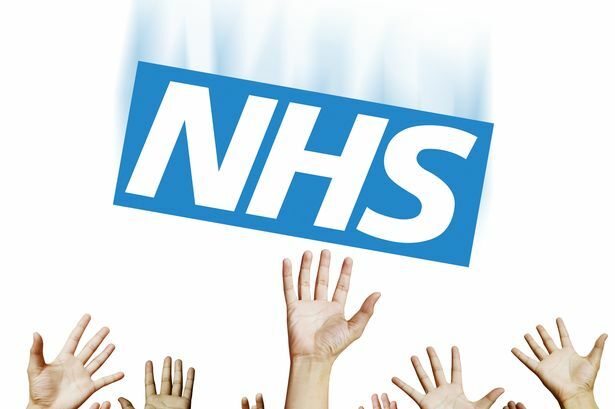 I am extremely grateful for our NHS and sincerely hope that it still standing when I am old and crippling, but at the moment, I feel that the NHS in itself is crippling due to underfunding of resources and a lack of education to the British public on how to correctly use it! Having watched a recent episode of ‘Hospital’ on BBC 2, it is safe to say that there is a lack of hospital beds, particularly in intensive care units (ITU) where there is the greatest demand. This has inevitably led to dangerous situations where patients with life threatening diseases e.g. cancer have had to have their operations postponed. Consequently, doctors have been chasing up beds and their work has also been delayed. This has ultimately led to a waste of resources and patients lives being put at risk. This is unfair to the patients but also unfair to the doctors and the multidisciplinary team who simply want to do their job. Something must be done about this! Perhaps increasing funding to provide more ITU beds in hospitals may be a good start. It is now common for some patients to be referred to private healthcare, with the NHS paying for their treatments. This may serve the purpose of reducing patients waiting lists to ensure NHS users can be treated more quickly in the short term. However, it comes with its consequences. The private healthcare sector is financially driven, with professionals who may have financial incentives, who may not always behave in an altruistic manner and may not take a holistic view towards the patient. This can be potentially harmful to patients, and at a time when patient centred approach is key, I do not think that the NHS should be referring patients to the private health sector. There must be alternatives! Surely this money could be spent on building more services in the NHS and training more doctors to ensure that public demand is met as quickly and efficiently as possible? Being an avid reader of the Student BMJ, I understand that modifications have been made in an attempt to solve some of these problems. Having read a recent article “Is Hunt’s plan to expand medical student numbers more than a PIP dream?”, I became more knowledgeable of Hunt’s plan to train 1500 extra doctors in 2018. Will his proposed plan eradicate any of the problems that the NHS is currently facing? I don’t think so. The number of applicants for speciality training already exceeds the number of posts available. For example, in 2015, there were 8000 applicants for 1200 posts. It is unclear how medical students will tackle shortages in chronically understaffed specialties e.g. Emergency Medicine and Paediatrics. And it is not clear where these extra places will be allocated. Will new medical schools be built? Or will current medical schools begin accepting more applicants? The measures under this plan have not been stated clearly by Mr Jeremy Hunt, and I am not surprised! His suggestions don’t resolve the problems that the NHS is facing right now! If this is what doctors are stating, I think we should be worried. The government must take action! In the ever-increasing number of patients attending Accident and Emergency, I think it is important that we identify whether these patients are in the correct place and whether they are present for the correct reasons. In order to treat patients according to the seriousness of their symptoms and clinical need, it is important to start prioritising patients, which I believe is currently being implemented into many Accident and Emergency departments across the country. However, it is just as important to educate the British public on the alternative services available to them such as walk-in centres and minor injuries. The public must be informed of the crisis that the NHS is facing, so that they can truly be understanding of this situation and help to make a difference. I can keep writing endless paragraphs on the crisis’ in the NHS, but for the sake of your time, I’ll stop right here. It is easy to establish and pick out all the problems in the NHS. However, it is just as important find ways to bring about change. Discussions are not enough! I hope you have gained a good insight into the problems that the NHS is facing, and help to make a change. A day may come where your life may be at risk due to underfunding in the NHS. So take action today! Let’s Talk Medicine is an A level student who shares her knowledge of revision, motivation and a fighting journey into Medicine in a blog. Read more of her blog here. Previous articleDebatesSHOULD THE NHS PROVIDE IVF FOR WOMEN OVER 40?